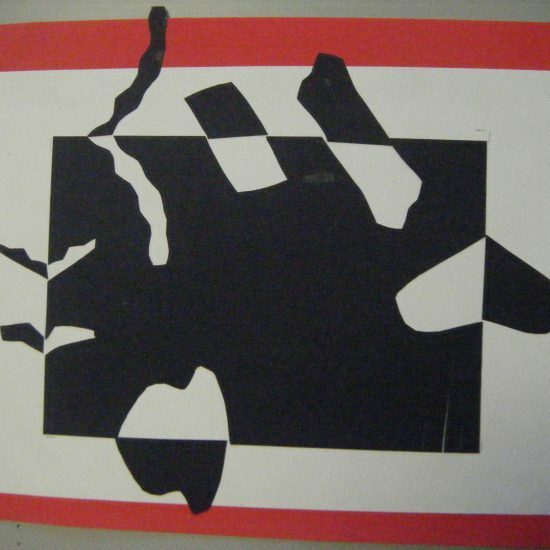 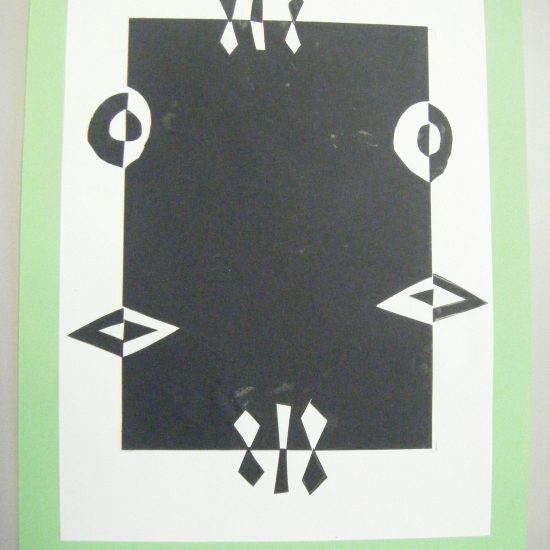 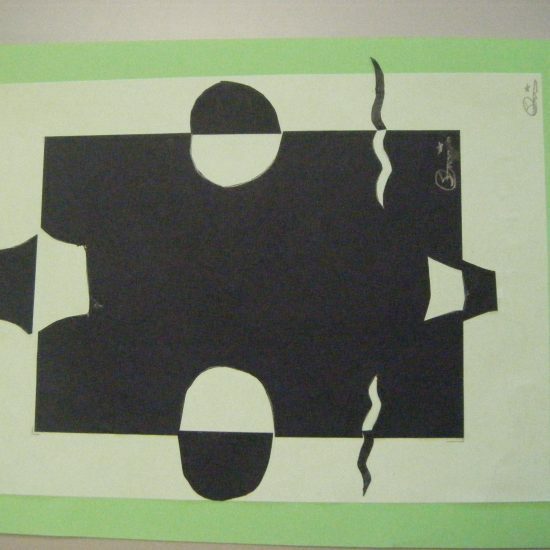 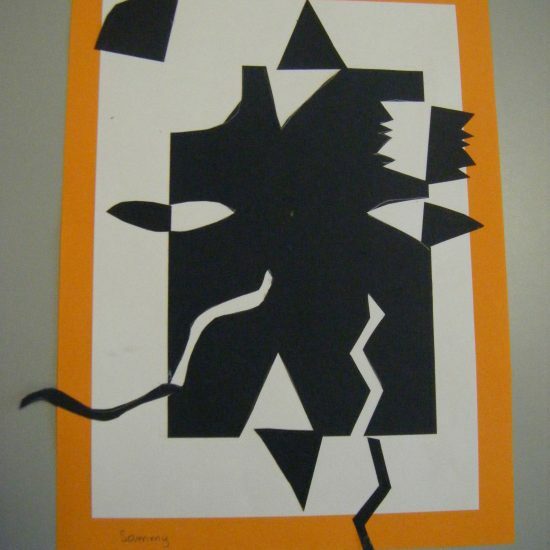 In art this term year 5 have been studying negative spaces. 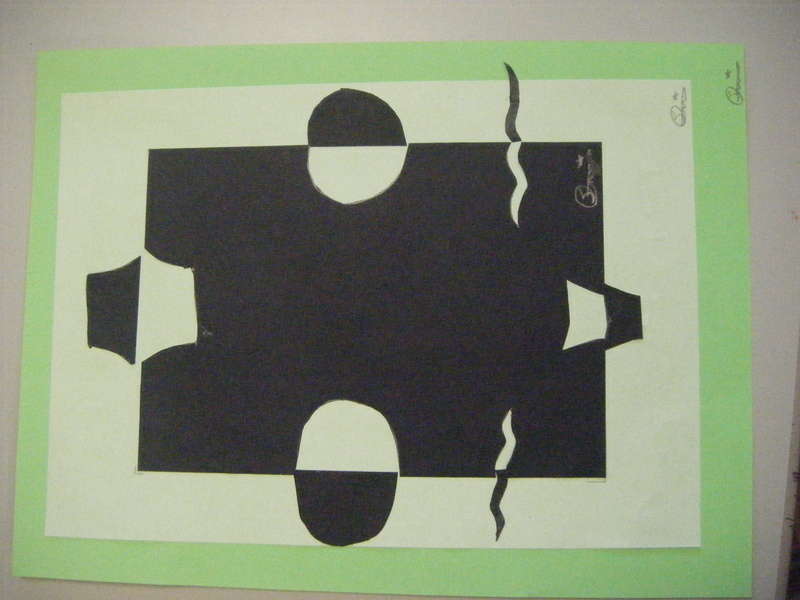 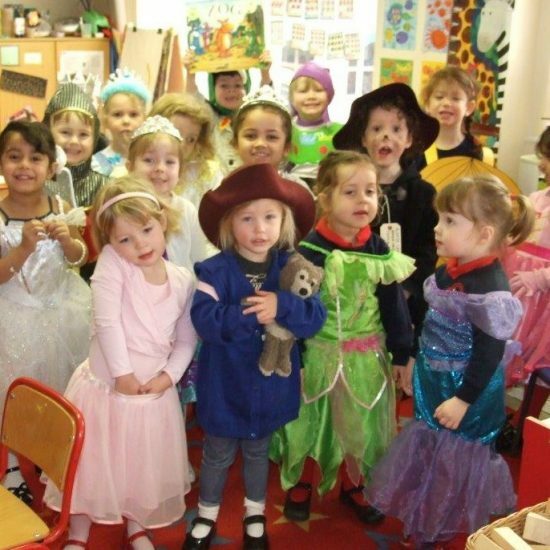 They have been focusing on the spaces in between objects and spaces where things are missing. 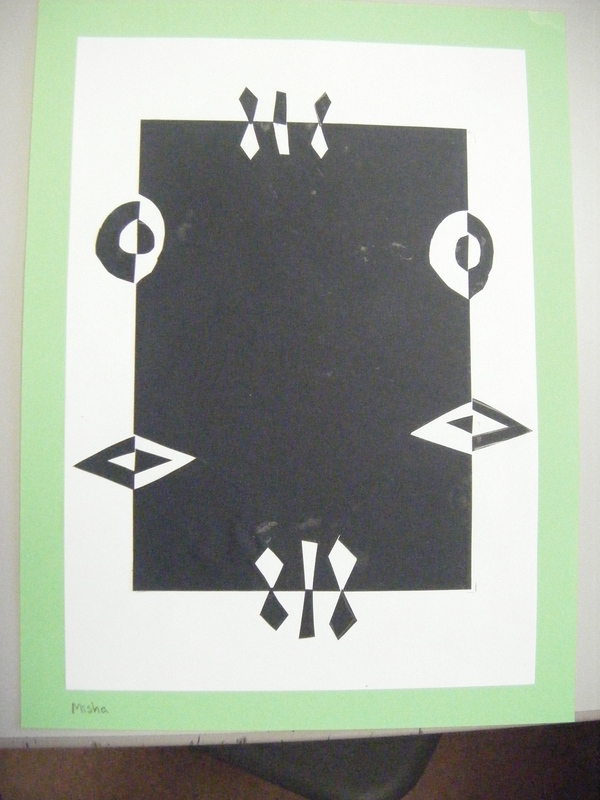 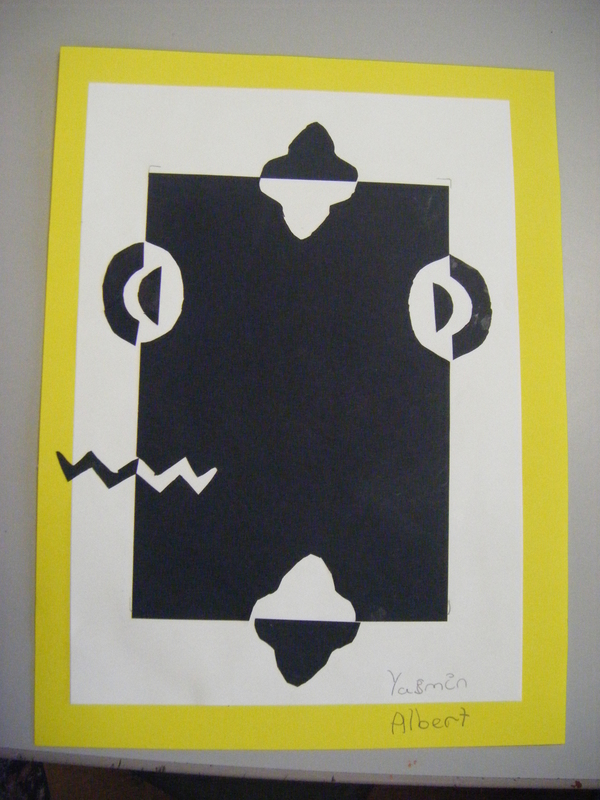 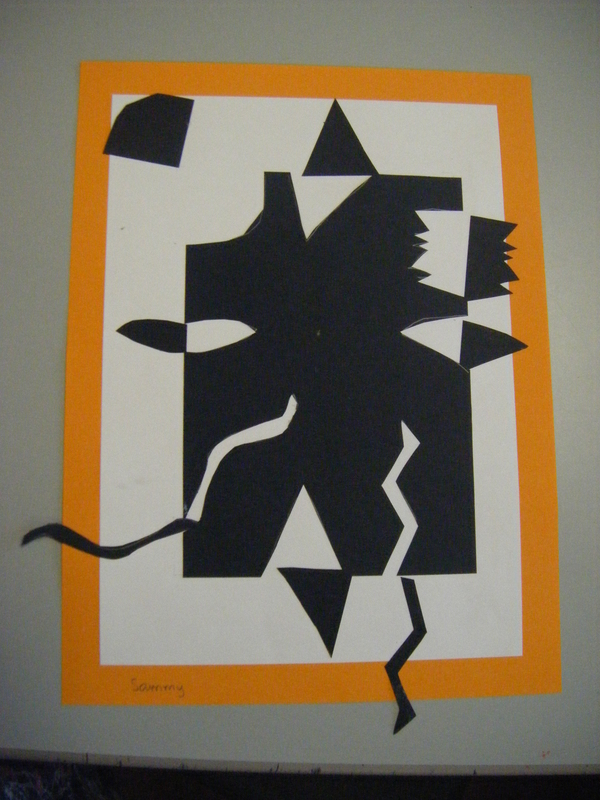 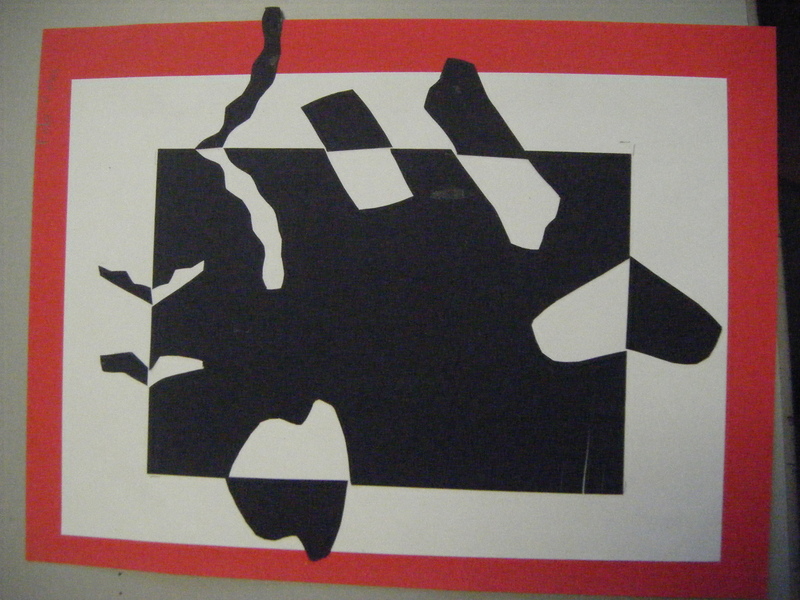 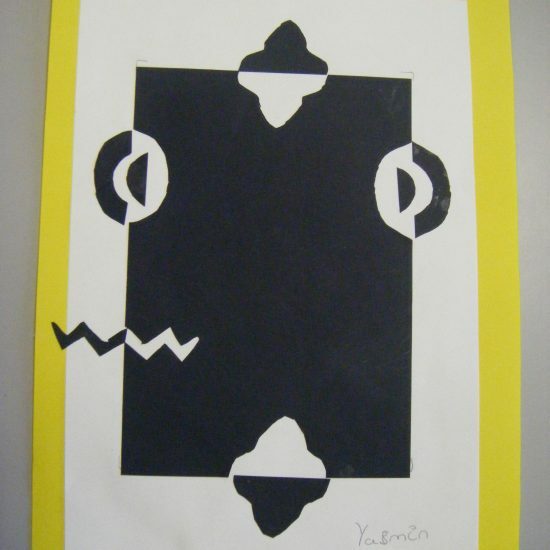 They produced some lovely abstract art work using cut outs to illustrate this concept.